Five groups of Eastern Mennonite University nursing students implemented community health projects that reached hundreds this fall. 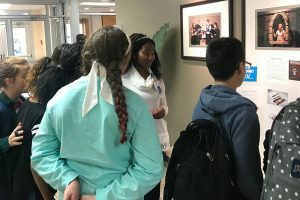 For their community health nursing course’s semester-long “community project” with a local agency, the students defined and described a patient population, conducted a needs assessment in their project area, formulated an intervention plan, and, once the plan was implemented, evaluated the intervention. At Eastern Mennonite School (EMS), a group conducted vision screenings, plus organized a health fair on various topics. 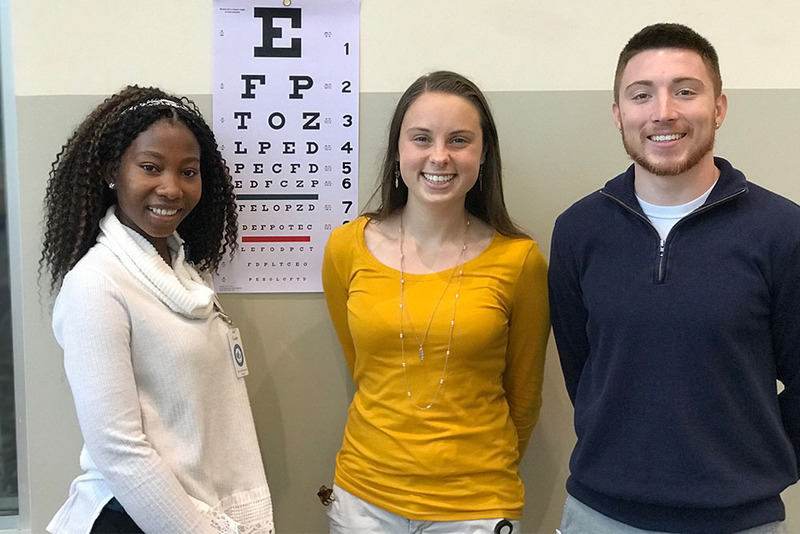 For their project at EMS, senior nursing majors Louisa Quaynor, Connor Faint and Laurie Serrell screened kindergarten, third, seventh and tenth graders, and identified students in need of vision care. Louisa Quaynor speaks with students about JUULing. The national statistics about JUUL use surprised the group: Approximately one in ten youth aged 15-17 have used a JUUL, according to the Truth Initiative.